Opaque moss with a picasso and etched finish. 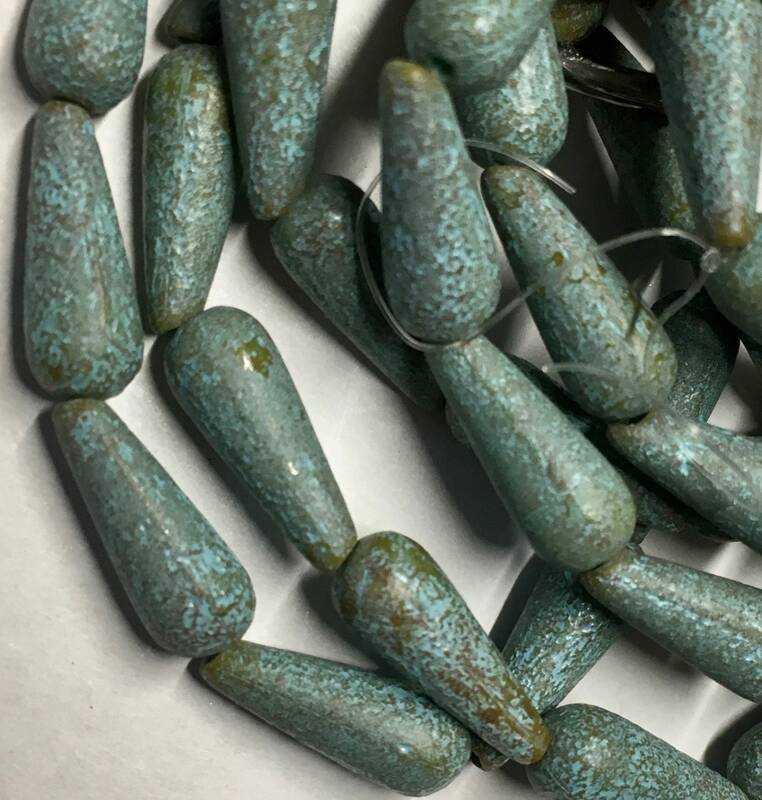 This bead is matte. The picasso and turquoise fnish is very heavily appplied in which the chartreuse coloring is only noted in a few areas. 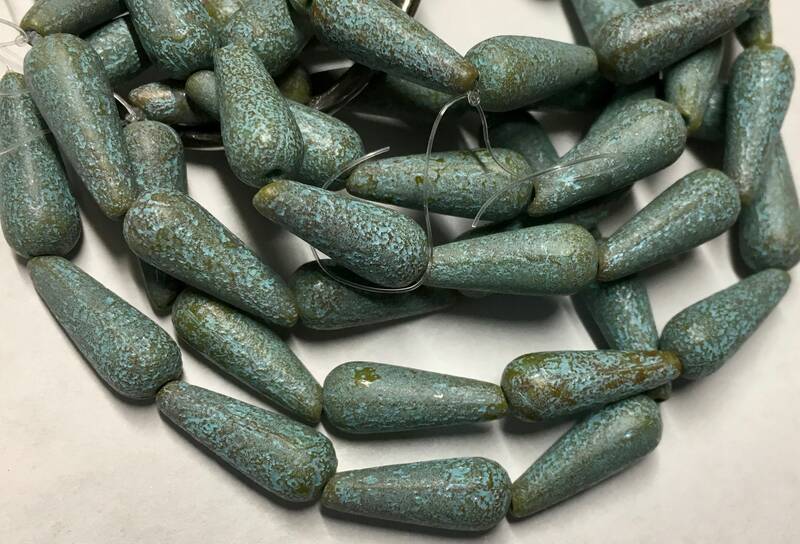 Czech pressed glass teardrop beads. These have a vertical drilled hole running from narrow to wide end of teardrop. Beads measure 6mm x 15mm. You will receive 10 beads per strand.